Just last Thursday, July 16, a gunman shot and killed five service members at military recruitment offices in Chattanooga, subsequently dying by gunfire. Later that evening across the country, a man reportedly shot four different people across three towns in Maine, eluding authorities for hours and spawning a massive manhunt before he was captured the very next day. 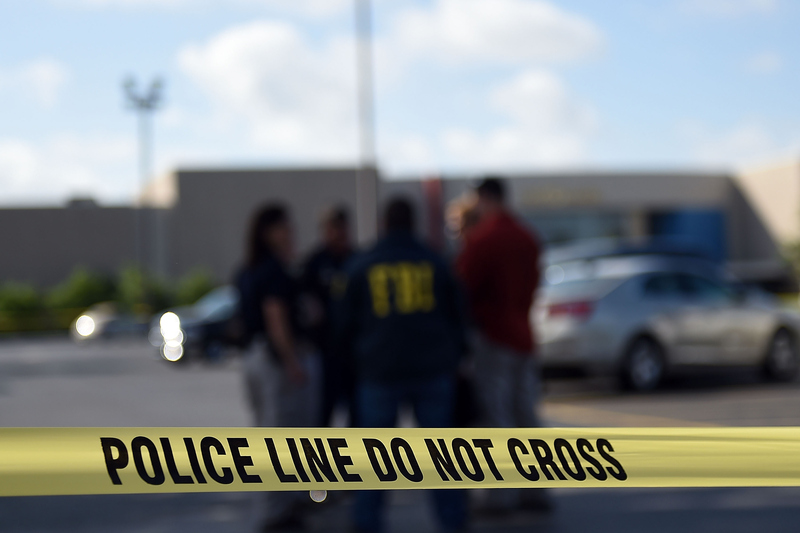 This Friday, a shooter opened fire in a Lafayette movie theater, injuring nine and killing two others as well as himself. With the seeming regularity of such tragedies, it's hard not to feel jaded — almost numb to it. Regardless, no matter how constant gun violence appears to be, we can't let ourselves become numbed to mass shootings. For the average observer, with so many occurring year in and year out, the wounds of each tragedy began to scab over. The number of mass shootings in the U.S. over the past two years averages out to nearly one per day, according to Mass Shooting Tracker. But I'm currently away from my home of New Orleans for the year, traveling around the world and feeling an overwhelming guilt that I feel safer abroad than I sense that my friends and family are in America. I've been gone since June and the shootings have not only continued, they've started to affect me in ways I could never imagine. When the names of the Lafayette victims were released, my fear that a friend's brother had been one of them was assuaged then supplanted by the news that someone I deeply admire had perished. Jillian Johnson was a colleague and in the same creative circles. She was an inspiration and someone I will now never spend enough time with. "Don’t lose sight of the fact that these two individuals had a vision, had a name, had a future," Louisiana Police Colonel Michael Edmonson said in a Friday morning press conference about Johnson and fellow victim Mayci Breaux. "It wasn’t to die as they did, horribly, in this theater here." Every victim of every shooting is so much more than the tragedy that befell them. To die by gunfire in an entirely preventable incident like a mass shooting is unacceptable. It was unacceptable last year, when President Obama noted, "There's no advanced developed country on earth that would put up with this." Those words still ring true today. All the while, nothing is getting done to thwart a pattern of rampant shootings that have leveled the nation. The worst that can happen is that these events don't stop occurring, to the point that every person in the United States has a common thread to a victim or is comforting those they know who do. And nothing is being done to take us off that path.